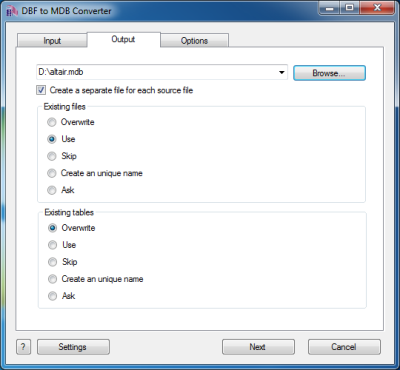 DBF to MDB (Access) Converter allows you to convert your dbf files to MDB (Microsoft Access) format. 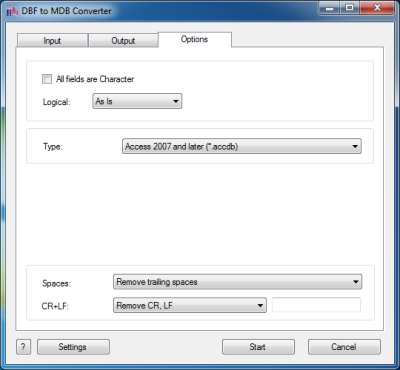 MDB is the file format used by Microsoft Access XP and earlier versions. It was replaced by the ACCDB format with the release of Microsoft Access 2007. Sometimes Access is unable to open DBF files or even damages them. Besides, MS Access does not understand long Character fields (more than 255 characters). 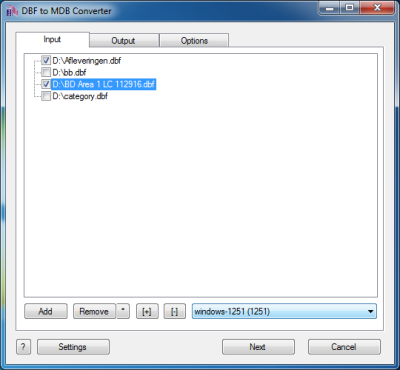 DBF to MDB Converter decides these problems. The program reads DBF files in dBase III, dBase IV, FoxPro, VFP and dBase Level 7 formats. Besides, you can optionally remove trailing spaces and select the output codepage.